Miriam Makeba was the first South African musician to become an international star; singing in several African dialects as well as English, Makeba was a gifted singer and a charismatic performer whose nightclub and concert engagements made her a global sensation in the 1950s. However, Makeba's determination to speak out against South Africa's apartheid regime forced her to leave her homeland, and she relocated to New York City in 1959. 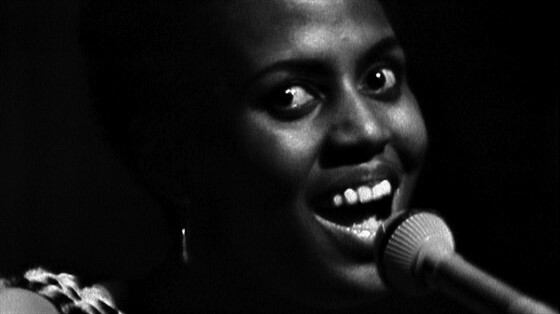 Makeba stayed busy as a performer and activist, and she was championed by friend and confidante Harry Belafonte, but when she married Stokely Carmichael, one of the outspoken leaders of the Black Panther Party, in 1968, her career in America slowed to a standstill, and in time Makeba and Carmichael settled in Guinea, where they were welcomed warmly. Makeba continued to speak out for South African freedom, and when apartheid was revoked and Nelson Mandela became South Africa's president, Makeba returned home, where she became a mentor to a new generation of artists and singers. Filmmaker Mika Kaurismaki celebrates the life and music of Miriam Makeba in the documentary Mama Africa, which combines archival material with interviews featuring Makeba's friends and colleagues, including Hugh Masekela and Angelique Kidjo.